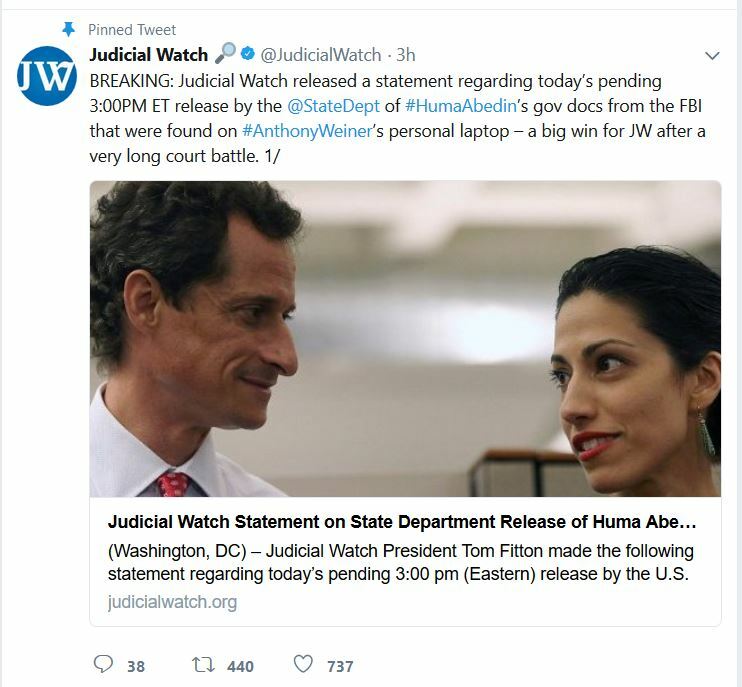 Makes you wonder why the FBI didn’t check Wiener’s laptop sooner? Carlos Danger and Client 9 lose. Carlos Danger, oops Anthony Weiner was crushed last night in the Democrat Mayoral primary, losing to De Blasio. Weiner finished a distant last place 5th and only received 4.9% of the vote in the Democratic primary. Personally, it is rather head scratching that Weiner managed to get nearly 5% of the vote. However, the day was not without it’s typical and pathetic antics coming from the Weiner campaign as Sydney Leathers, former sexting partner of Anthony Weiner, attempted to crash his election night party, Weiner’s ridiculous concession speech and his final parting shot of a one finger salute. 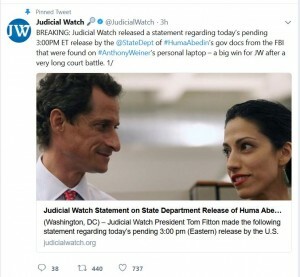 WEINER … GO AWAY!!! New York mayoral candidate Bill de Blasio, who began his campaign as a long-shot but surfed a late wave of momentum by tapping into liberal anxiety over the three-term administration of Mayor Michael Bloomberg, overwhelmed his opponents on Tuesday to finish first in the city’s Democratic mayoral primary. With results still being counted late Tuesday evening, de Blasio, the city’s public advocate, was bobbing around the 40% mark needed to avoid a three-week runoff race for the Democratic nomination. And in the classy tone that Weiner has run this ridiculous campaign to be Mayor of NYC, as a parting shot, Weiner flipped the media the middle finger (see pic here) as he hopefully has faded into the sunset for good. 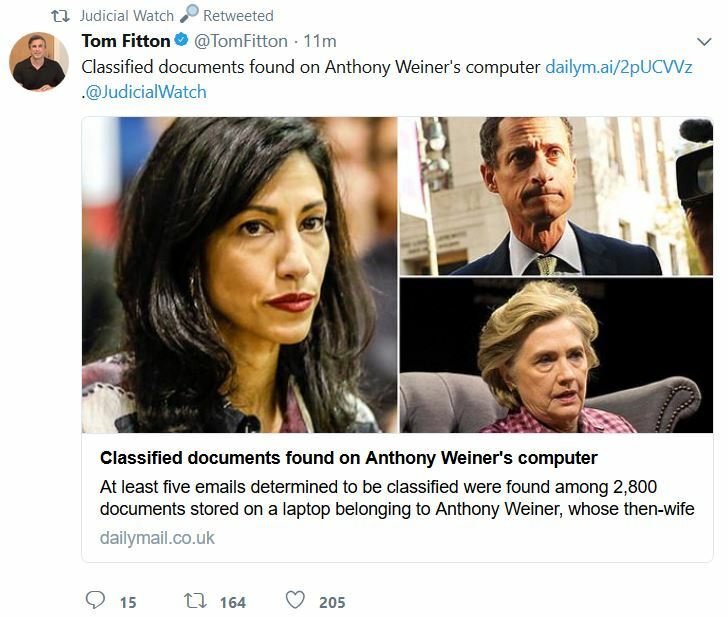 Thankfully, Weiner’s 3 ring circus has come to an end. Eliot Spitzer, also known as client #9 and the disgraced former Governor of New York also lost his bid for political redemption last night as he was defeated in the Democratic primary for New York City comptroller by the current Manhattan borough president, Scott M. Stringer. With 97% of the precincts reporting early Wednesday, Stringer was ahead 52.1% to 47.9%. “I say to the public, I am proud to have served,” he continued. A special thank you to the people of New York City who collectively told both of the pervs, Weiner and Spitzer, to take a hike and GO AWAY! 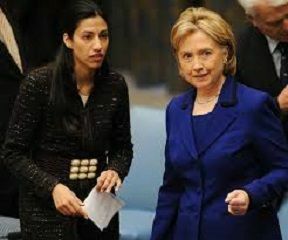 Former Anthony Weiner Female Voter Rips Weiner a New One in Brooklyn the Way His Wife Huma Should Have after Sexting Scandal … “One person yelling isn’t going to stop me!” … Wanna Bet? WEINER GETS HAMMERED IN BROOKLYN!!! “Little kids?! You have NO right to talk about little kids … Talking about little kids? Social media? You wanna see some Twitter action?” she demanded.